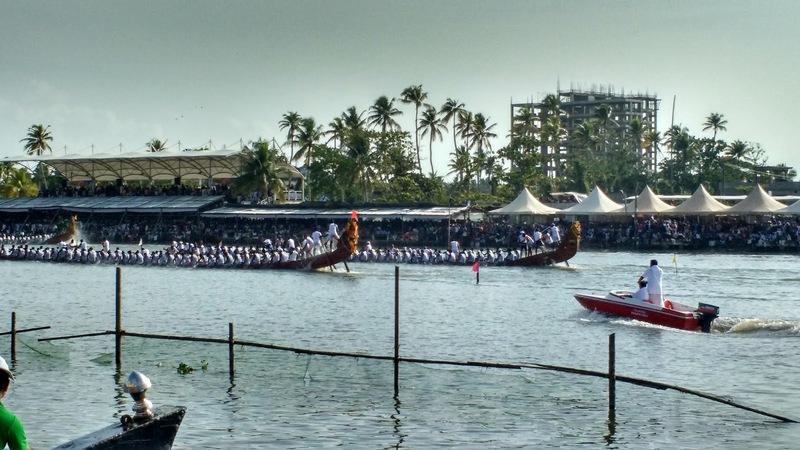 The Nehru Trophy Boat Race (Snake Boat Race) is a popular Vallam Kali held in the Punnamada Lake near Backwaters of Alappuzha, Kerala, India. 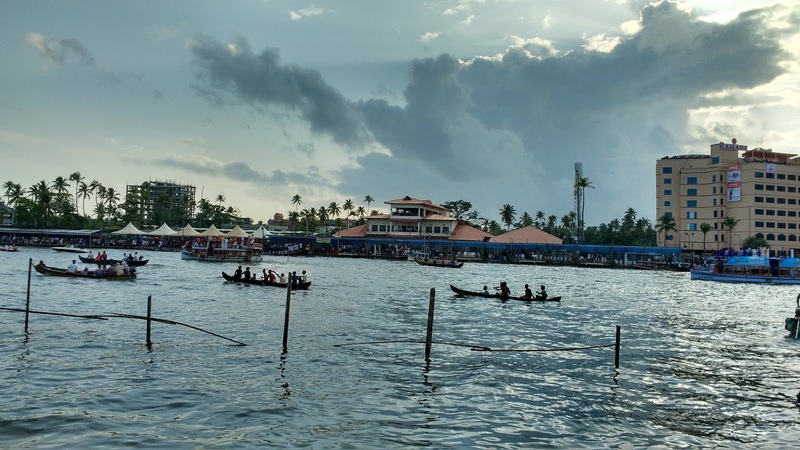 The Nehru Trophy Valam kali is conducted on the second saturday of August every year and is a famous tourist attraction (which was 8 August this year & was 63rd race). 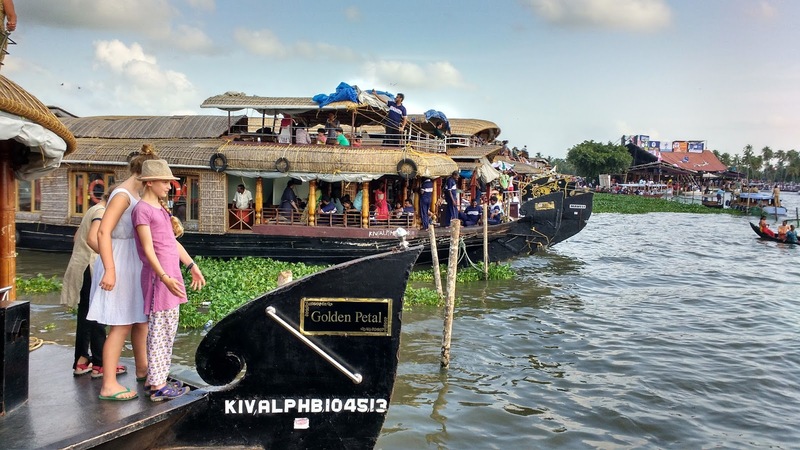 The 100–120 foot long canoes made of a wood locally called "Aanjili thadi" carrying 90- 110 rowers which moves like a snake through the channels (hence the name), is an eye catching sight for any tourist. 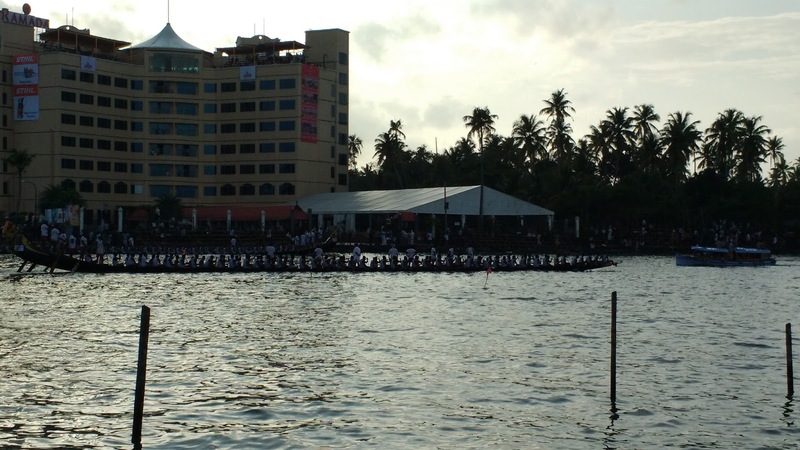 The Chundan Vallam also has the record as "the biggest water vessel used for sports purpose". The race started at around 2-3 PM and last at 5-6 PM. It would be little boring & tiring if you spend the entire day. 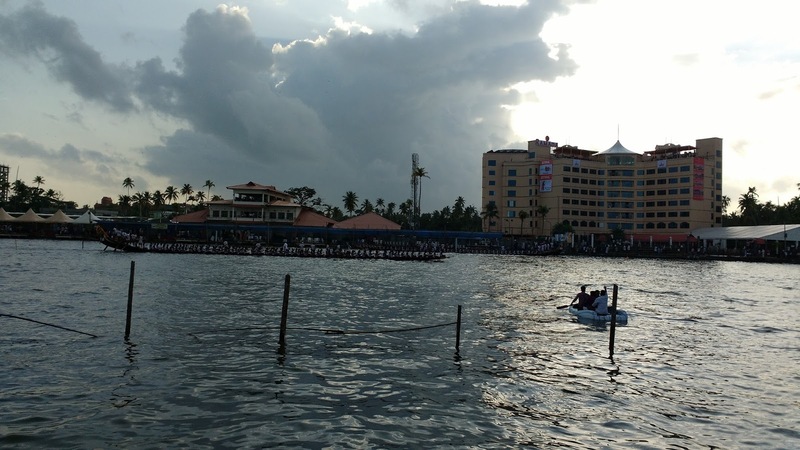 I reached at around 3 pm and enjoyed the race in a boat paying Rs 1800 as ticket amount. Enjoy a few pics & video taken during the race.